Jeremy Morrison, owner and director of Mathnasium of Clifton Park. For many parents, the idea of a place that will provide assistance to their child in the area of math is welcome news. 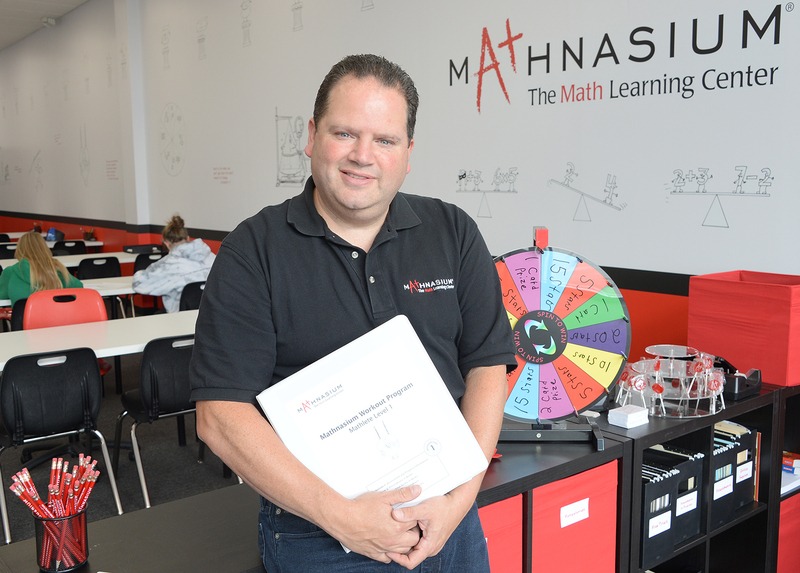 Jeremy Morrison, owner and director of Mathnasium of Clifton Park, said his math-only center can provide help to kids in grades 2 through 12. The center is located at 309 Clifton Park Center Road, Suite 4. “I have spent a few years trying to figure out what type of business to start and I happened upon Mathnasium, which is a national franchise, and really liked everything about it. I liked the focus on math—something I have always been very good at and have been tutoring my daughters in math for years I liked the focus on education and I loved the idea I could work with kids and make a difference in their lives,” said Morrison. After graduating from Shenendehowa High School in 1992, Morrison went to University of Pennsylvania for a dual degree in engineering and business. He then spent the next 20 years at multiple satellite and video processing companies, based on Long Island and then in California He had multiple roles in sales, technical sales, and product management. Morrison chose the company, which has over 800 centers in the U.S. and Canada, because they have had widespread success and he is allowed to manage his own business. “I really wanted to move away from larger companies and start something on my own,” said Morrison. Mathnasium opened on Oct. 1 and has been growing ever since. Morrison hopes to have at least 100 students this year. He credits some of that success to the location in Clifton Park Center. “I wanted someplace that was easily accessible to parents, safe for kids with dropoff and pickup, and somewhere that gave parents lots of options for how to spend the hour when their kids are at the center. I have a lot of parents who go to Starbucks or go grocery shopping or visit the mall while their kids are here,” he said. Morrison has five employees who work to customize a learning plan for teaching concepts that the student needs to master. The instructors set aside time to provide homework help, initial and ongoing assessments, individualized instruction and guided practice. Morrison said he is open to helping the company expand. Fees vary based on the program selected. They offer both group sessions and private ne-on-one lessons, depending on the needs of the student.